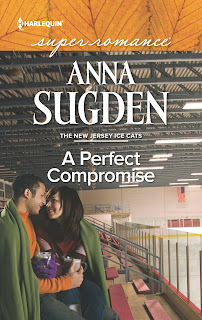 Harlequin SuperRomance Authors Blog: The New Jersey Ice Cats are Back! Thanks for the contest. I don't have a sport but I love reading about them. What I like is that even though it's a romance, we find out great details of the games and it's like you are right there! Hi Anna! 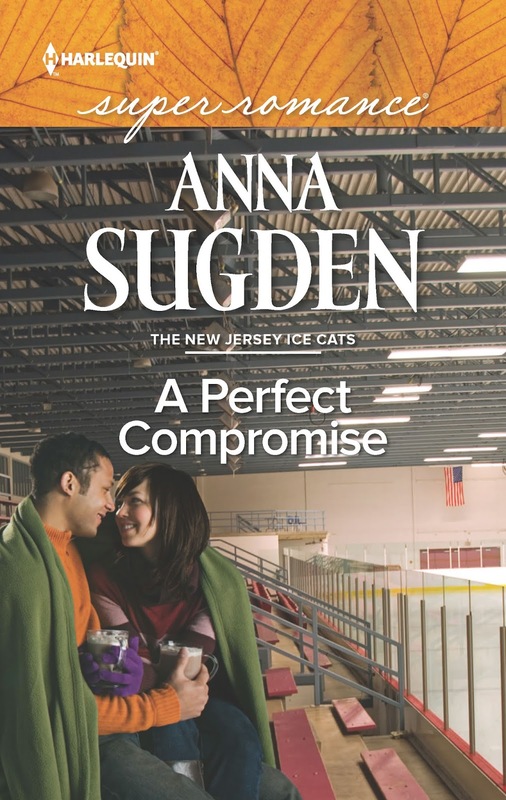 I haven't read your series yet and I do love hockey romances so it's perfect that I can read one after another! Thanks for the chance! APC sounds like an awesome story and hope to read it soon! Hi Angela! Welcome! That's what I love about sports romances too. I do miss reading hockey romances, though, as I can't read those while I'm writing my own series. I am a big NASCAR fan... for years I always cheered for Jeff Gordon... was sad to see him retire last year... never really saw him as a hottie, but cheered him on for his talent! Congrats on the new release, Anna. My favorites include Henrik Lundqvist, Klay Thompson and Derek Jeter. No need to enter me in the contest. Hey Colleen! Thanks for stopping by. I've never really followed NASCAR, but my BFF does and she used to like Jeff Gordon too. Hi Denise! Thanks for joining in the fun. Uh no. Derek Jeter is definitely all you need to say! Derek is one of the sportsmen who inspired me to write a mixed race hero - JB. So excited. Really looking forward to this book. I love this series. I don't really follow sport a lot, but I can't pass up on David Beckham. The full package. Hey Tammy! Thanks for stopping by! So glad you love this series - makes my day to hear that! Hi Mary! Great to see you here! It's hard to pass up on David. Although he needs to ease off on the tats! 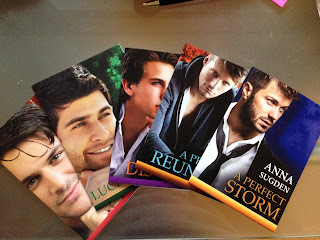 I love hockey, so I really need to try your series. The San Jose Sharks are my favorite team, so I'd pick any of them, they're given a pretty hard time for not winning the Cup yet, but I find their personalities really easy to cheer for, like last weekend at the All-Star game, Burns and Pavelski with their little boys, and the way they supported John Scott, they just seem like genuinely nice guys. How fun, Anna!! Can't wait for your newest! As for favorite sporting hottie? I don't know... I really don't follow much in sports, but I did read all about John Scott and the whole All-Stars game thing :/ Glad it worked out beautifully for him in the end, and kudos to him for keeping his cool! Hey Summer! Welcome and yay on being a hockey fan! Aww I have a soft spot for your Sharks and always cheer for them over those 2 other California teams! I've always liked big Joe. You're right, they do seem like lovely guys. Wasn't that so cute at the All Star game? And I thought John Scott was such a stand up guy for handling the whole horrid saga with dignity, style and humour. And you have our old coach and some of our old players - Martin and Zoobs! Hope you get a chance to try the Ice Cats series! Hey Fedora! Thanks so much for taking the time to stop by! That whole John Scott saga was dreadful. The NHL should have behaved better and so should some of the people in the media. Whether or not he should have been there was irrelevant once the fans voted him in - as the NHL asked them to do! I thought he was brilliant and it was lovely to see all the other players supporting him. I know every sport has its heroes and villains, but to me hockey gets a bad rap. I've never met a nasty hockey player (though I know some exist). And even some of the villains are stand-up guys when you meet them. I enjoyed reading his own post about the situation, and it definitely gave me insight also on the players' behavior--sounds like some of it is responding to what is expected of them, of what role they are supposed to play for the team. He sounds like a class act, and it's heartening to see how many players and fans have shown him support :) Hope the hockey leadership gets its act together to show the same kind of consideration. You're so right, Fedora. And that's a lot of why I write the books I do - to show the other side of the men of the ice! Jake was inspired by one of the biggest heroes or villains (depending on your perspective *g*) of the ice - Scott Stevens. The man who could wipe out a player with a legal check, was also the man who would give a rookie the suit off his back.